Hand-forged as close as possible to the final shape, this 386-layer Damascus Paring Knife from Reed Moore, of Red Forgeworks, has a 3.5" blade that has been marquenched and partially austempered to make it tough, wear resistant, and easy to make super sharp. 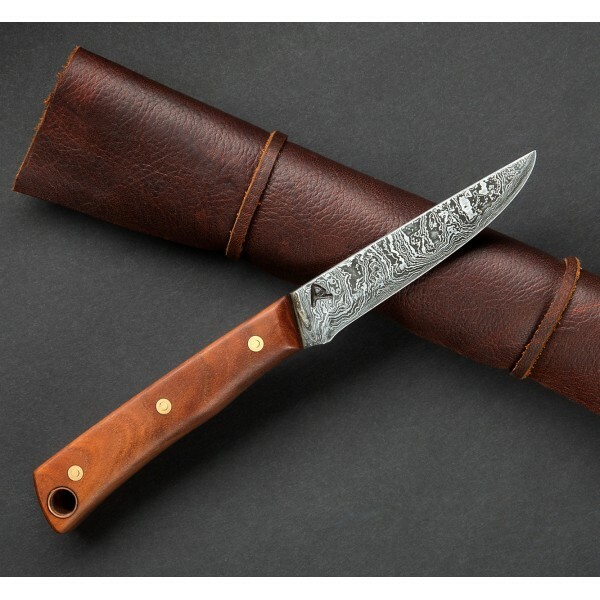 The stabilized, old-growth cherry handle, adorned with brass Loveless bolts and a copper lanyard hole, fits the hand like a glove and comes from reclaimed wood from a turn-of-the-century church pew. 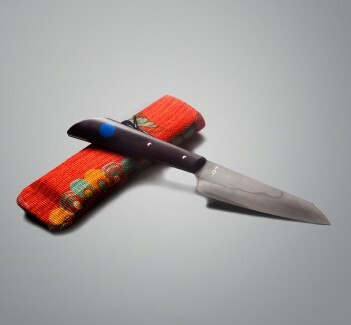 Using time-honored hand-forging techniques, Reed has carefully engineered this Paring Knife for a lifetime of everyday use. Comes with a handmade leather carrying case. 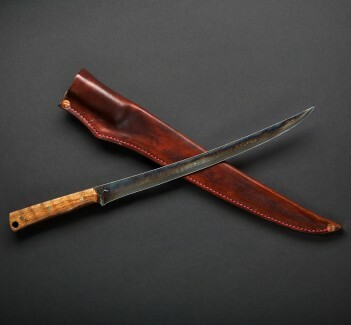 Reed Moore, of Red Forgeworks in South Carolina, employs the time-honored, ancient hand-forging techniques in a range of traditional styles, all with a modern edge. 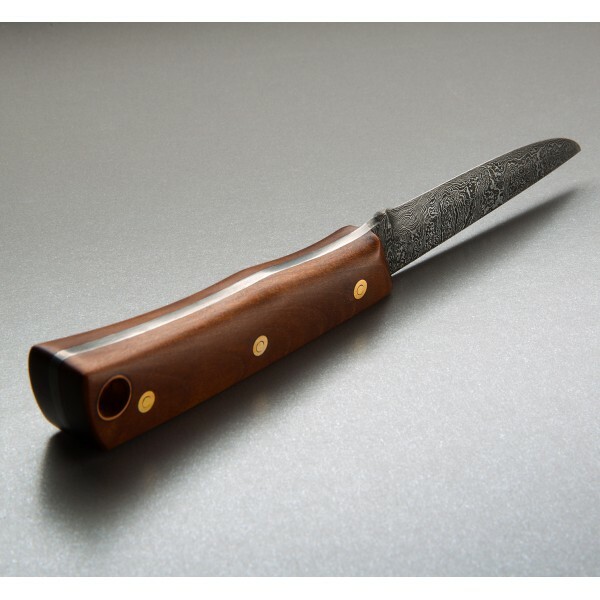 Specializing in high-quality outdoor and kitchen knives, Reed combines his extensive knowledge of modern metallurgical science and style with locally sourced materials to create heirloom-quality knives meant to be used daily. 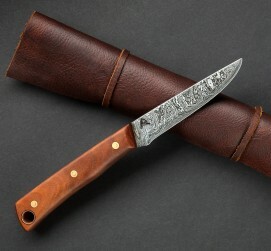 Blade: 386 layer damascus consists of 52100, 5160 and 15N20 carbon steels. Handle: reclaimed, stabilized old growth cherry from a turn-of-the-century church pew. Brass Loveless bolts and copper lanyard hole.